ISLAMABAD: The Supreme Judicial Council (SJC) on Thursday recommended removal of Islamabad High Court (IHC) Judge Shaukat Siddiqui from his office for leveling serious allegations against state institutions including judiciary and the premier state intelligence agency during a speech at the District Bar Association, Rawalpindi. The recommendation of the top constitutional body, which examines the conduct of judges, has been sent to President Arif Alvi for his approval. The president later approved the recommendations after which Justice Siddiqui has been removed from his post. This is the first case of removal of a judge by the Supreme Judicial Council (SJC) after 1973 when Justice Shaukat Ali of Lahore High Court was removed on charges of misconduct. The SJC is the only constitutional authority mandated by Article 209 of the Constitution of Pakistan to conduct inquiries into allegations of incapacity or misconduct against a judge of the Supreme Court or of a high court. The apex court then took a suo motu notice of the matter following which Justice Siddiqui asked the chief justice to constitute a judicial commission to probe the allegations against him and offered to resign if he's proved wrong. The Council in its recent meeting held on September 14, decided to further proceed with the matter and ordered to issue notice to Attorney General for Pakistan for conducting the reference. Similarly, the Council also directed Justice Shaukat Aziz Siddiqui to appear in person along with the counsel, if any, on October 1, 2018. It is pertinent to mention here that the Supreme Judicial Council on July 31, 2018 served a show-cause notice on Justice Shaukat Aziz Siddiqui of Islamabad High Court (IHC), directing him to submit his reply. In pursuance of the Council direction, Justice Shaukat Aziz Siddiqui had submitted his reply before the Council. On July 21, Justice Shaukat Aziz Siddiqui while addressing the bar alleged meddling in the judiciary’s affairs by the ‘powerful quarters’ and blamed the higher judiciary for the country’s ‘deplorable’ state of affairs. 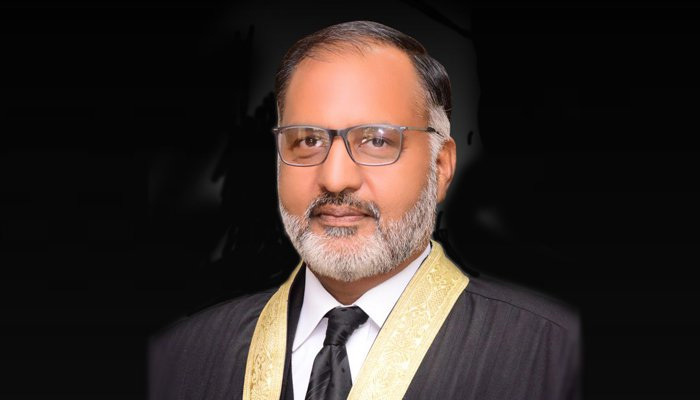 Later on, the Chief Justice took suo moto notice of the speech of Justice Shaukat Aziz Siddiqui after the Pakistan Army requested the Chief Justice to do the needful. In its press release issued the same day, the Inter Services Public Relations (ISPR) stated that a judge of Islamabad High Court of Pakistan has leveled serious allegations against the state institutions including judiciary and the premier state intelligence agency. “In order to safeguard the sanctity and credibility of the state institutions, the Supreme Court of Pakistan has been requested to initiate appropriate process to ascertain the veracity of the allegations and take actions accordingly,” it had added. A five-member bench of the Supreme Judicial Council (SJC ) headed by Chief Justice Mian Saqib Nisar and comprising Justice Asif Saeed Khan Khosa, Justice Gulzar Ahmed and Chief Justices of Sindh and Balochistan High Courts for the first time heard in an open court, a complaint against the IHC judge Justice Shaukat Aziz Siddiqui. The complaint was filed by a retired employee of Capital Development Authority against Justice Shaukat Azizi Siddiqui alleging the learned judge for misusing of funds for the refurbishment of his official residence. 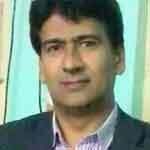 Justice Siddiqui had requested the Council to conduct the proceedings of the instant complaint filed against him in an open court.